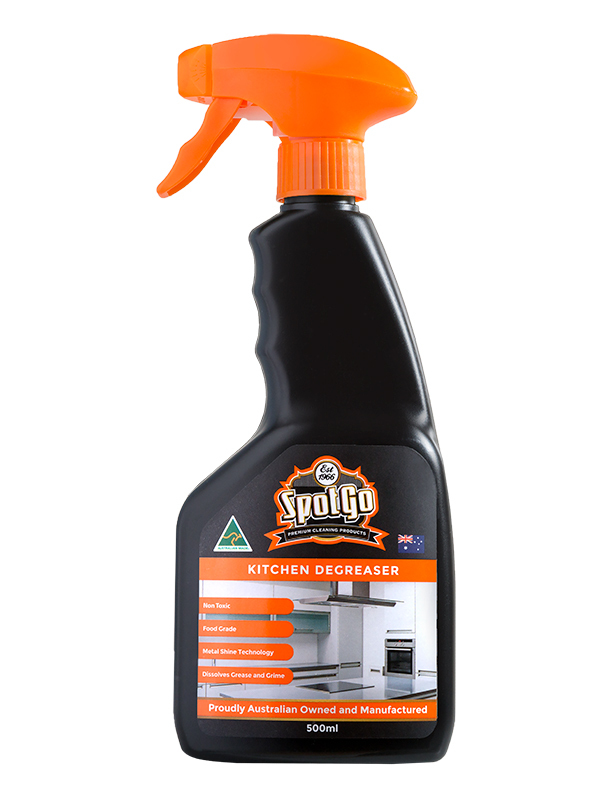 SpotGo’s Kitchen Degreaser easily removes oil and grease whilst brightening polished metal surfaces. Ideal for use on kitchen bench tops, cooktops and range hoods. For more stubborn grease, scrub lightly before wiping off. Wipe again with a wet clean cloth to remove any residue.